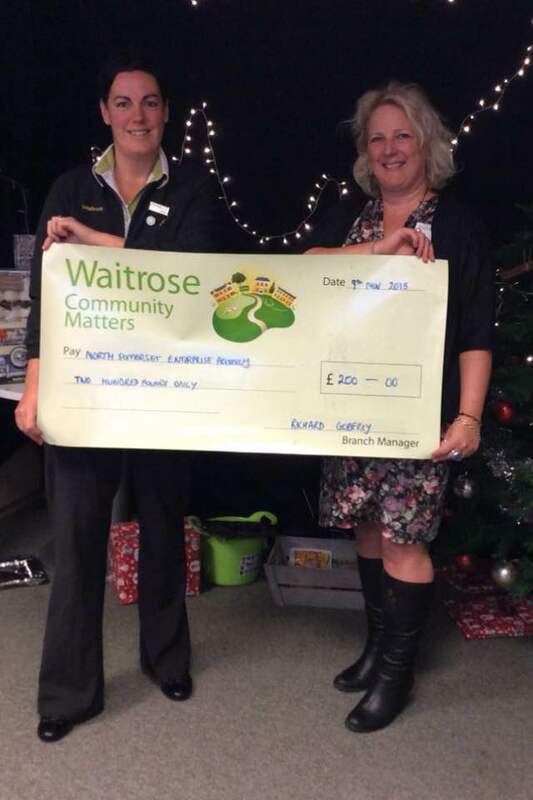 On the 9th of November North Somerset Enterprise Agency (NSEA) Chief Executive, Angela Hicks, attended a presentation ceremony at the Weston-super-Mare branch of Waitrose and was pleased to receive a cheque for £200 from the Waitrose Community Matters scheme. Since its launch in 2008, the scheme has donated £14 million to local causes around the country which are chosen by Waitrose customers each month. Other recipients for the same period were the Macular Society and Freeways, a charity that supports people with learning disabilities. Previous story Global Entrepreneurship Week 2015 – Make it Happen!